Experience tells us that 99.9% of independent RIA firms are conscientious about doing the right thing for clients, yet many of these firms struggle with compliance. There are numerous regulators to deal with, including, but not limited to, the SEC, FIRA, the US Department of Labor and various state regulators. The rules and regulations are constantly changing. Sometimes the regulations are not uniformly enforced. So it is no surprise that when an RIA firm is the subject of a regulatory examination, a sense of discomfort sets in. One of the challenges firms face, even if they have been doing the right things, is to respond to the examiners requests for documentation quickly and efficiently. Those firms that have the proper technology, the proper policies and procedures, and that are otherwise well-prepared experience much less stress and generally have a better examination experience. Unfortunately, many firms have gaps in their policies, procedures, and technologies. The new Compass App from Orion Advisor Services can go a long way to filling in those gaps. The Compass App consists of two modules, with a third on the way soon. The Audit Tool module is specifically designed to help chief compliance officers (CCO’s) at your firm respond quickly to examiner requests for documentation. Orion has assembled a staff of employees with deep knowledge of the examination process, so they have a good grasp of the types of document requests that examiners are likely to be looking for. Much of that information is likely to reside in the Orion database. The audit tool allows the CCO to rapidly gather that information into one comprehensive file that can then be shared with the examining authority. 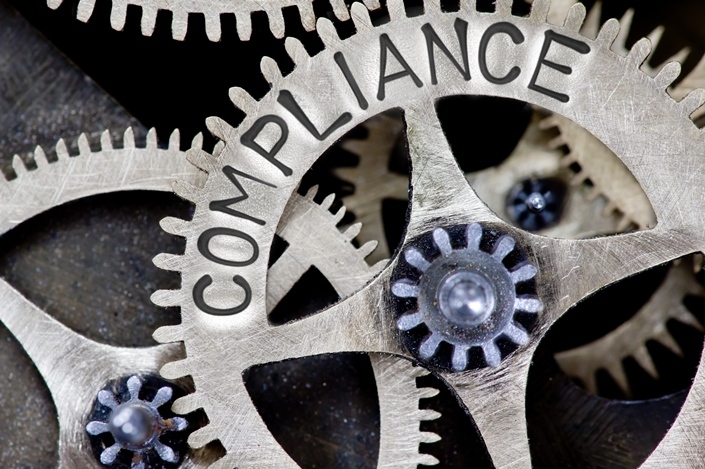 Orion’s compliance team is available to assist firms during the audit process to ensure that responses to regulators are done professionally and in a timely fashion. The Audit Tool can also be used during mock audits to better prepare your staff for the real thing. The Verify Tool helps firms address issues related to anti-money laundering (AML) regulations. Currently, AML rules are not statutorily applied to independent RIA firms, but best practices dictate that firms be aware of AML risks. If your firm even becomes tangentially involved in a money laundering investigation, the fallout will assuredly be damaging to your reputation at best. The Verify Tool can help you proactively guard against running afoul of AML regulations. A new Test Tool is being added to Compass soon. Regulations require firms to conduct ongoing testing, but the burden of proof is on the firm to document the ongoing processes to regulators. The Test Tool will allow CCO’s to document all of the testing that they have done, the results of those tests, and any remedial action taken to address issues that were uncovered during the testing process. It should be noted that Orion’s new compliance initiative extends well beyond the Compass App itself. The firm has hired several new employees with extensive experience in compliance examinations, including some former regulatory staff. They are also in the process of building out an impressive collection of additional compliance resources to further help their advisory clients efficiently meet their regulatory obligations. “New technology players, discount brokers, low-cost products such as ETFs, robo advisors and changes in distribution strategies from the mega-asset managers are rapidly commoditizing the core service offering that advisors have historically provided: Investment management. As a result, these changes are impacting the fees that advisors charge, with many firms lowering fees in response to the new competitive environment. While not completely widespread, Fidelity’s recent Benchmarking Study shows that 60% of advisors are discounting their published fees, on average, by 20-30 basis points to maintain and win new clients”. “On the other hand, the increase in technology innovation that is commoditizing traditional investment management is also creating new opportunities for advisors to provide more flexible solutions and advanced investment INTRODUCTION 4 management services that were previously only available through high-cost, separately managed account (SMA) platforms”. ASTRO’s optimization engine allows advisors to perform direct indexing. Rather than purchase an index fund, they can create a portfolio of individual securities that closely track the index. This can be more efficient from a cost and also a tax standpoint. It also allows advisors to meet the ESG concerns of clients. For example, if a certain index is appropriate for a client but that index has holdings that the client objects to for social or religious reasons, ASTRO allows you to closely replicate the index while avoiding the individually offensive securities. It also allows advisors to build completion portfolios around holdings that cannot be traded currently. ASTRO also allows advisors to build their own model portfolios, set it as a benchmark, and then create individual portfolios that track the benchmark as needed. ASTRO offers two distinct interfaces. There is an express interface for advisors that want to quickly and easily access the most common ASTRO functionality. For more sophisticated users, including those with a CFA background, ASTRO provides a full set of institutional level tools to work with. Pricing is reasonable: Orion charges $50 per year per account. However, the charge only applies to those accounts that you use the ASTRO application with. So if only a fraction of your clients require the powerful optimization that ASTRO provides, you only pay for those accounts. On the prospecting side, if ASTRO helps you win the business of a large household that currently is invested in, say SMA’s, and you can win the business by replicating the strategy cheaper and more tax efficiently through tax optimization, the investment in ASTRO is well worth the price of admission. The platform provides a host of features that advisors will find useful. Enhanced account creation improves new account opening efficiencies. The ability to do global valuations (e.g. create a 5% mark-up for an investment across all clients) is another efficiency booster, as is the ability to post global transactions. When you propose a global valuation change, you can preview the impact of that change through a “before and after” screen. The platform even provides global analytics across your AIP holdings. It is clear that Orion Advisor Services has moved way beyond the traditional portfolio management and reporting functionality that they have traditionally been know for. They now provide a wide range of value added products and services that can help firms scale, improve efficiency, and grow their businesses.